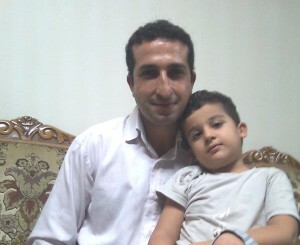 IRAN is making ready to execute Pastor Youcef Nadarkhani. He’s a Christian pastor, who because of his Islamic roots must renounces Christianity or face death. Iran’s Supreme Court had ordered the trial court to determine whether Nadarkhani had been a Muslim prior to converting to Christianity. He has been asked three times to recant his beliefs, but has refused. If he refuses a fourth time, he could be executed at any time; he will be asked again today, and could die tomorrow. On June 18th, 2010 Fatemah Pasindedih was arrested, charged with apostasy. 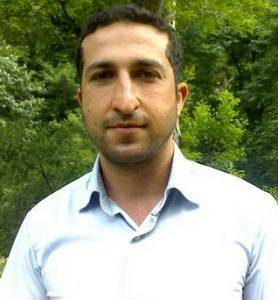 The judges, according to the American Center for Law & Justice, demanded that Nadarkhani, 34, recant his Christian faith before submission of evidence. Though the judgment runs against current Iranian and international laws and is not codified in Iranian penal code, the judge stated that the court must uphold the decision of the 27th Branch of the Supreme Court in Qom. It really is quite incredible. Last week, a convicted murderer, Troy Davis, was finally executed in the United States, and it seemed as though the entire British (and EU) Establishment arose to denounce the barbarism. Even Pope Benedict XVI appealed for clemency. Yet today, Iran is scheduled to hang a Christian pastor for ‘apostasy’, and the collective silence from our scurvy politicians, trappist churchmen and hypocritical media is positively deafening. Pastor Yousef Nadarkhani was found guilty two years ago of ‘apostasy’, even though he was never a practising Muslim. His guilt was determined because he ‘has Muslim ancestry’ (which is a kind of convenient catch-all in a place like Iran), and he was sentenced to death. That sentence may be suspended if he renounce his faith. This week, in court, he has twice refused to recant. A third refusal today will result in his execution. His Grace knows a thing or two about recanting and the inevitable consequences of recanting the recantation. There is no greater torture of the soul. Yousef Nadarkhani is bound upon a wheel of fire, knowing in his heart that he is faithful to his Lord and Saviour, and yet every fibre of his flesh will be screaming to declare that there is no god except Allah and Muhammad is a messenger of Allah. As the years of imprisonment, torture and solitary confinement have failed to break this man’s faith, the Iranian authorities have tried to use his family against him. A year ago, Fatemah Pasindedih, his wife, was found guilty of apostasy. Her conviction was overturned on appeal, but the effects of all this trauma upon their two sons is unimaginable. It is important to note that there is no Iranian criminal statute which requires the automatic execution of those who abandon Islam. The judges in this case appear to be relying on Article 8 of ‘olvasileh-Tahrir’ – a fatwa issued by the late Ayatollah Khomeini, leader of the 1979 revolution, and also on edicts issued by Ayatollah Shirazi, one of Iran’s present leaders. These appear to be based upon Shi’ite interpretations of the Qur’an and Hadith, and are in contravention of the international covenants to which Iran is a signatory, including the International Covenant on Civil and Political Rights, which guarantees freedom of religion and freedom to change one’s religion. They also violate article 23 of the Iranian Constitution, which states that no-one should be ‘molested’ or ‘taken to task’ simply for holding a certain belief. Iran has ancient Armenian and Assyrian churches, but Pastor Nadarkhani’s problem is that he is an Evangelical: he led a successful and growing ‘house church’ of some 400 souls. In Iran, Evangelicals are viewed as being ‘corrupt and deviant‘, not least because they ‘spread’. Of course, Pastor Nadarkhani is just one of thousands who face persecution for their religious beliefs in Iran, including leaders of the Baha’i community who are presently serving 20 years for practising their faith, and hundreds of Sufi Muslims who have been flogged in public. But this story does not involve ‘apartheid Israel’ or the ‘barbaric United States’. It is simply about one Christian in Iran who wants to worship God in spirit and in truth, in accordance with the Gospel of Christ. The British media won’t care much for that. So thank God for the blogs who can point you in the direction of the Iranian Embassy (orvia here). Please make your protests known. Perhaps a word of support from the Foreign Secretary? Or is he too busy condemning Israel? The Prime Minister? Too preoccupied with planning? The Archbishop of Canterbury, perhaps? O, forget it.